For fantastic savings on stunning traditional mixer taps, shop online at HC Supplies. Rejuvenate your kitchen with beautiful designs from Astracast, and purchase dependable accessories which will remain part of your home for many years to come. Our traditional mixer taps are available in an assortment of designs, with many replicating the styles of bygone years. The Carmargue nickel stainless steel traditional mixer tap is a perfect blend of contemporary style with overtones of victorian design. For something completely nostalgic, opt for the Carmague bronze traditional mixer tap from Astracast. Purchasing high end products such as these can sometimes put a strain on the purse strings, but as we provide sensational discounts on the entire range, you can buy traditional kitchen mixer taps for much less than the recommended retail price. Save up to 30% on all traditional kitchen mixer taps and benefit from swift UK delivery within 2 to 7 working days. Do you require traditional kitchen mixer taps for your home abroad? Simply call our team after purchase and we can arrange for your items to be safely shipped. 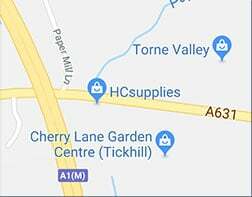 Should you be in the area, you are welcome to pop into our Doncaster showroom and take a closer look at our kitchen accessories stock. You can also speak with one of our friendly customer advisers should you require any help with choosing the ideal kitchen mixer taps for your home.